Some people have gripes with those who post yoga selfies, but for the vast majority, these selfies serve as a reminder and inspiration to keep going with their yoga practice -- whether it be as a beginner doing yoga at home or a veteran yoga teacher doing worldwide workshops. 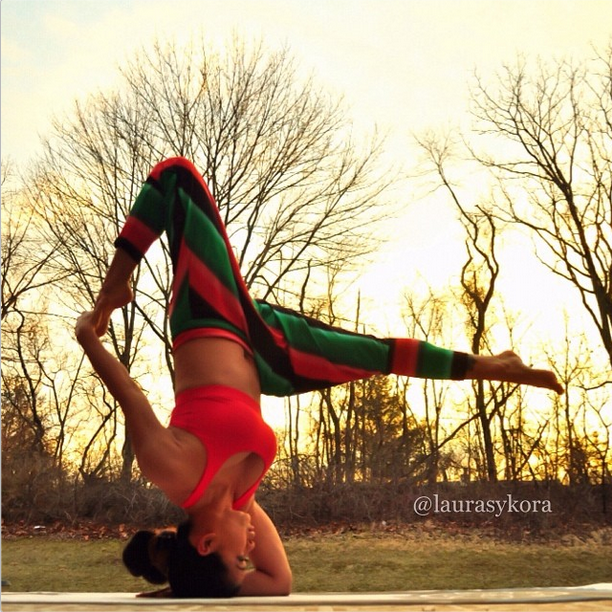 One example of these yogis offering visual inspiration is Laura Kasperzak (@laurasykora). She's been doing yoga for 17 years, and has taken her yoga practice from her living room (where she also tries to get her adorable kids and loving husband to join her) to the worldwide digital stage via Instagram. As one of her 705,932 (and counting!) followers on Instagram, I can personally say that the "selfies" she posts are indeed not only inspiring, but also instructional, beautiful (aesthetically and otherwise), and at times -- hilarious. This is because she doesn't just post pictures of her doing insane yoga poses, she also shows before-and-after progress photos and the clumsy, behind-the-scenes scenarios. 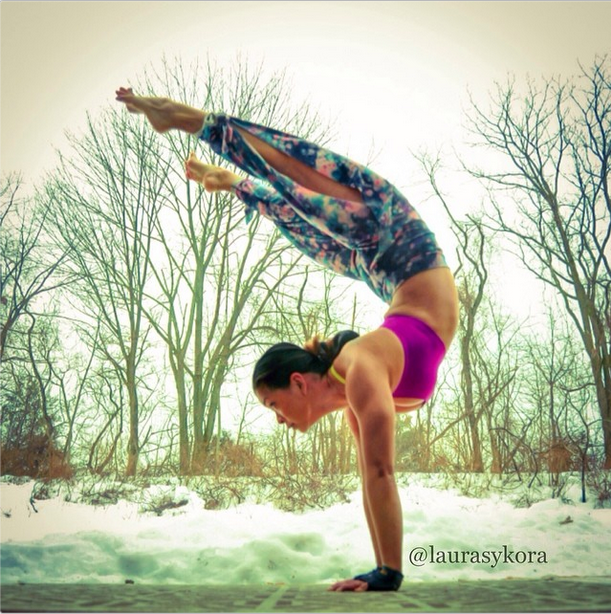 Laura has a background in gymnastics and cheerleading, although it's her daily (!) yoga practice that makes her such an amazing yogi. She co-founded Two Fit Moms along with her bestfriend and fellow "instayogi," Masumi Goldman (@masumi_g). Together, they offer workshops and weekly classes and continue to inspire their followers through Instagram and the classes and workshops they offer. See more photos on Laura's Instagram account.